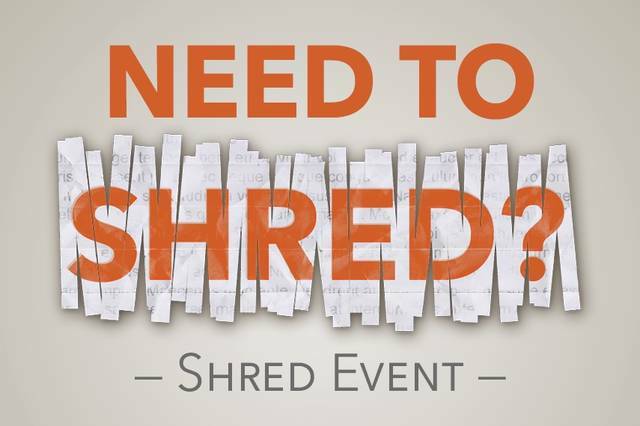 GALION — Join the Galion-Crestline Area Chamber of Commerce and Plymale Insurance Group for “Shred-It Day” in Galion on Friday, Sept. 21, 2018 from 10 a.m. to 2 p.m. in the parking lot behind the chamber of commerce off North Union between Harding Way West and West Church Street. This is a free community event. There is a limit of afive “bankers” boxes per household/business. Hot dogs and drinks will be available between 11:30 a.m. and 1 p.m. by donation. Proceeds will go to MARCA.